In this week’s podcast, the U.S. team evaluates the 2014 Nuclear Security Summit and South Asian nuclear security. 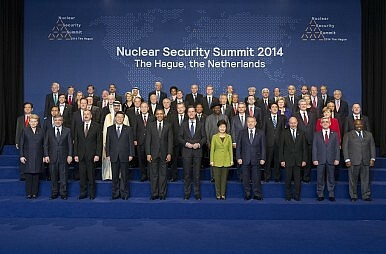 In this week’s podcast for The Diplomat, U.S.-based editors Ankit Panda and Zachary Keck discuss the 2014 Nuclear Security Summit which took place earlier this week in The Hague, Netherlands. They also discuss nuclear security in South Asia and attempts at trilateral diplomacy between the United States, South Korea, and Japan. What are the issues and flashpoints that will come to define Asia in 2018?